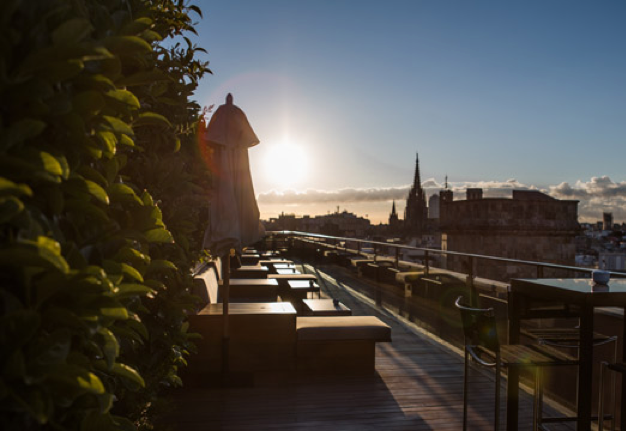 This rooftop bar is the one of the most luxurious in Barcelona and a price tag to match, with the cheapest glass of wine at € 10. 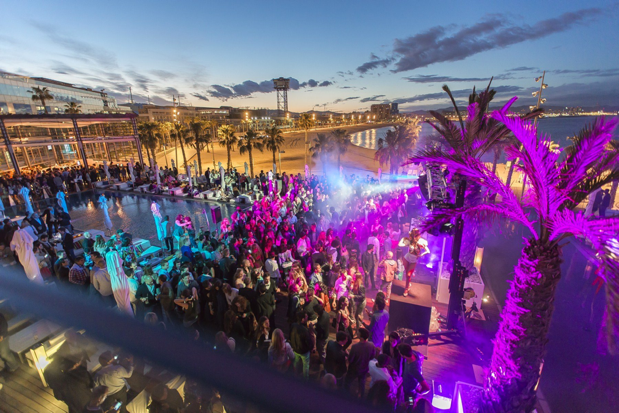 However, with the first class service and incredible views of the Sagrada Familia and Monutjuic its certainly worth it for the top class experience and party atmosphere. 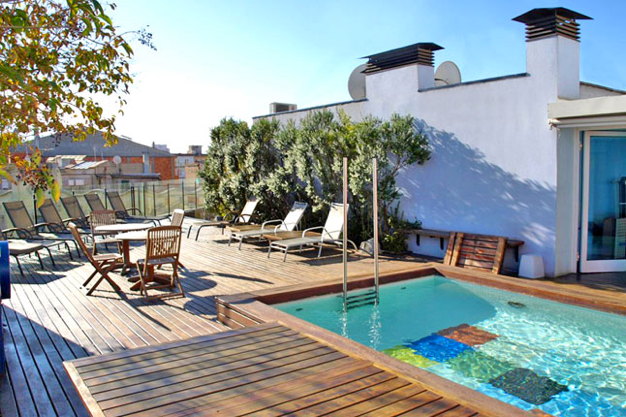 Just off the quirky neighborhood of El Born this rooftop bar has stunning views of the whole city and is a popular place to drink the night away. The bar now takes reservations due to its popularity so make a booking and do not miss out! 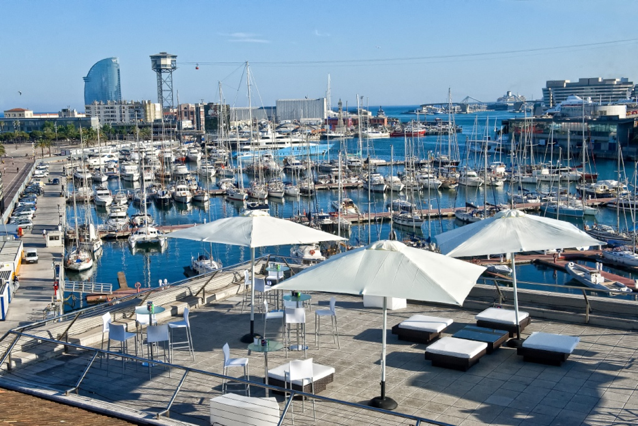 Located just a stones from the beach, this rooftop bar has stunning views across the docks of Barcelona and making it the perfect place to soak up the summer sun while sipping on a refreshing beer. Some evenings include a DJ set which helps to set the perfect summer. 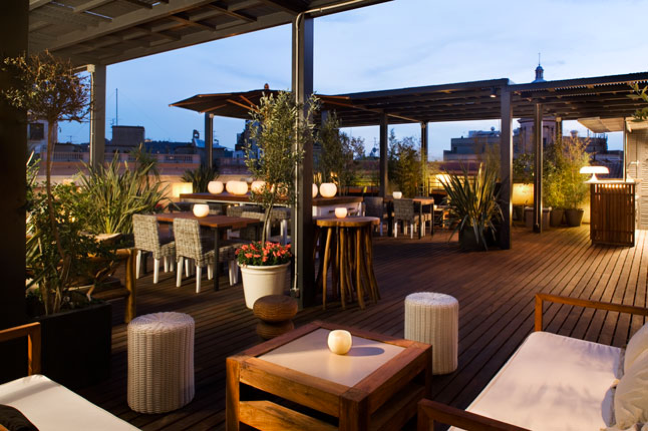 Situated in the center of Barcelona this rooftop bar with urban garden is the best place to enjoy a relaxed drink. Although it may not have the best views of Barcelona, ​​the beautiful greenery of this bar makes up for it. Do not miss out on the famous Acoustic Wednesday at the Pulitizer every Wednesday from 7:30 pm-10pm with live music and bands. Set in the exclusive W Hotel, this rooftop bar is the number one place to go if you want to see the sunset over the coastline and incredible DJ sets that play on the early morning hours. This cozy bar comes with big sofas and soft lighting making it the perfect place to sip on a cocktail or glass of wine. The free wifi also makes it the perfect place to work in a chilled environment. Make sure you do not miss out on the live piano music from 7.30pm onwards Wednesday till Sunday. What makes this rooftop bar unique is that it has a fantastic rooftop restaurant alongside the bar making it the perfect place to transition from day to night. Do not miss out on the DJ Sessions Thursday to Saturday from 9pm to 1am. 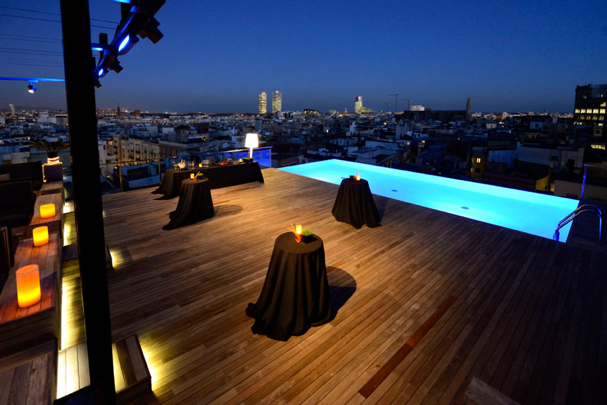 Just a stones throw away from Plaza Cataluyna this rooftop bar and restaurant has fantastic 360 ° views of the city and the famous Las Ramblas. 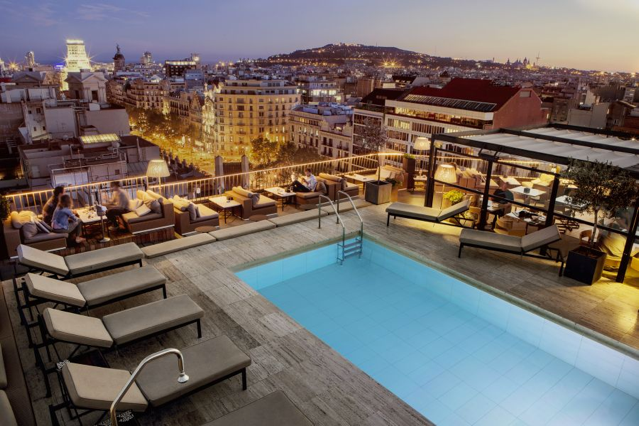 It is one of the pricier bars, with cocktails starting from € 12.50, however with an outdoor pool and tapas to pick at this is the perfect place to enjoy Barcelona. This rooftop bar is popular with young crowd and is a great place to have a swim in the pool or a dip in the Jacuzzi while enjoying a cocktail. Take advantage of the 2-4-1 happy hour 8: 30-9: 30pm they have available. 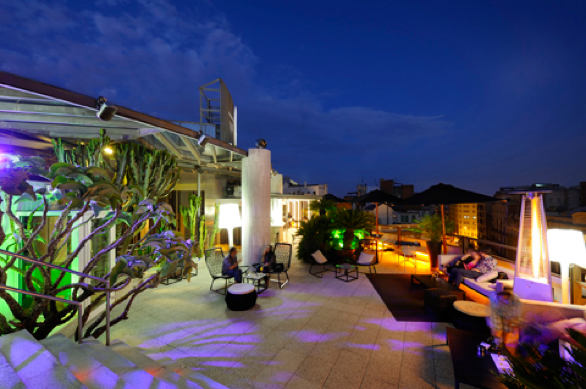 With beers at just € 3 and wine at € 4 a glass, this rooftop bar is perfect for those on a budget but you do not want to miss out on experiencing Barcelona’s famous rooftop bars. 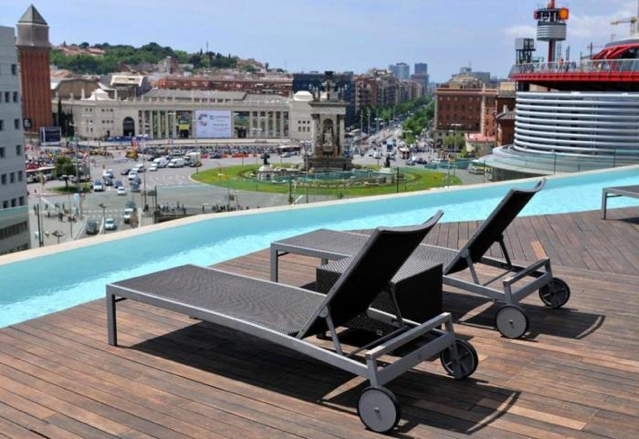 This hotels bar has views out onto all of Plaza Espanya and great tapas too!